You might not believe this but at home, we have many objects that—in addition to its regular use—have more life left than you might think! And with a little creativity and imagination, we can use these simple objects to extend their useful life! And what is more, some of the discarded objects will be used for recycling! 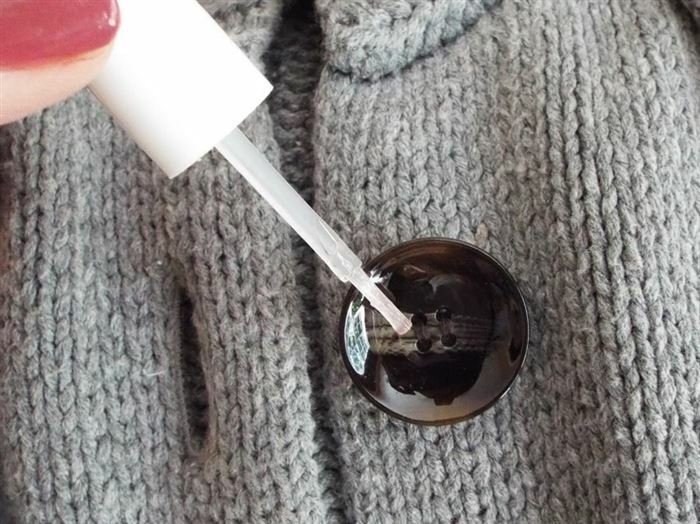 For example, transparent nail polish is great for (apart from giving shine to your nails), securing the screws of your glasses! It is also useful to set your shirt buttons, the ones you tire of sewing every two minutes! The same applies to prevent a frayed thread or stop a nylon stocking run from spreading! When the summer ends, recycle your swimming pool foam noodles. 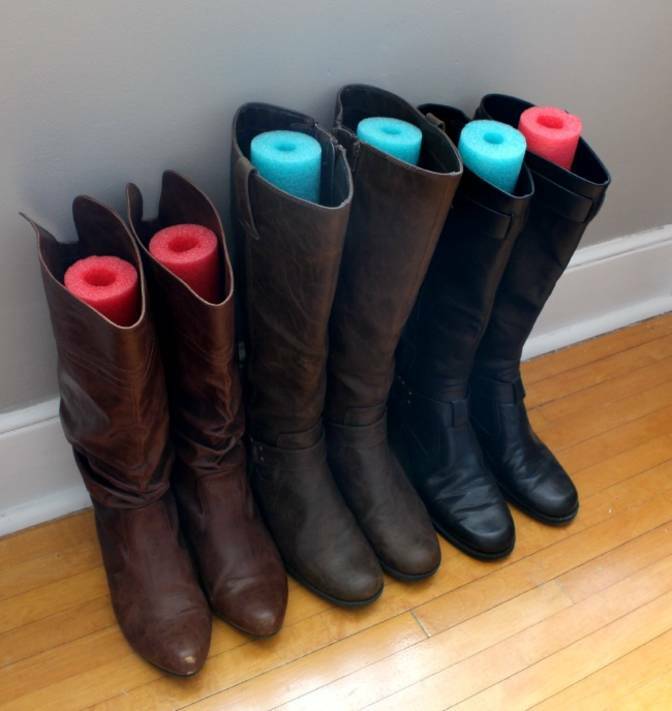 Use them to keep the shape of your high boots to avoid bending and damaging the leather material. If you don’t have any at home, not to worry! They are fairly inexpensive and sold at supermarkets and toy stores! I use rubber bands for lots of things! For example, they help keep the latch of doors in place so your door stays open. They are useful when you need to enter and exit a location multiple times and don’t want to open and close each time, especially if your hands are occupied! Another great use is to avoid making noise when you open the room door of your baby or toddler! 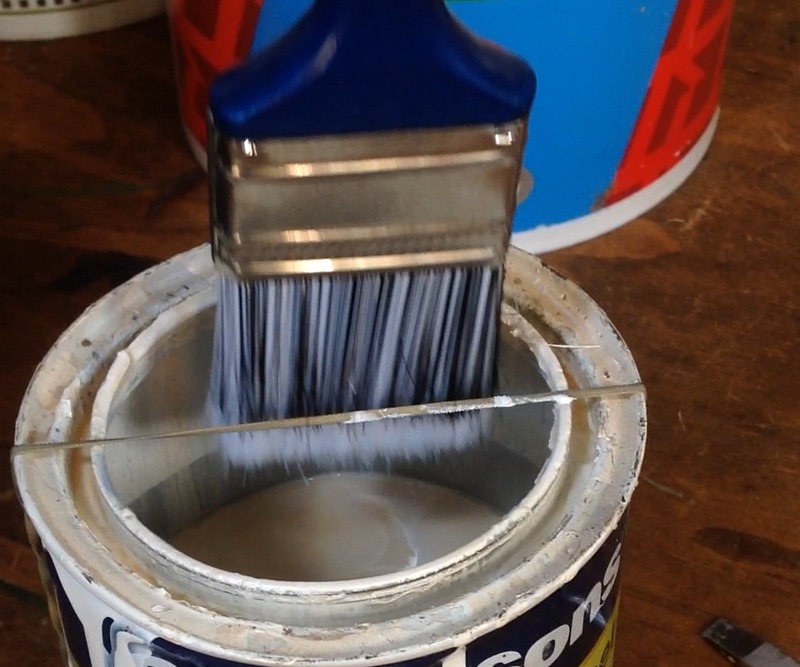 When you paint your house or furniture, stretch a rubber band around the can to clean the excess paint around the brushes. This will help you to keep the can clean and easier to seal, which prevents unnecessary spills and stains! Do you have an unused makeup brush on hand? 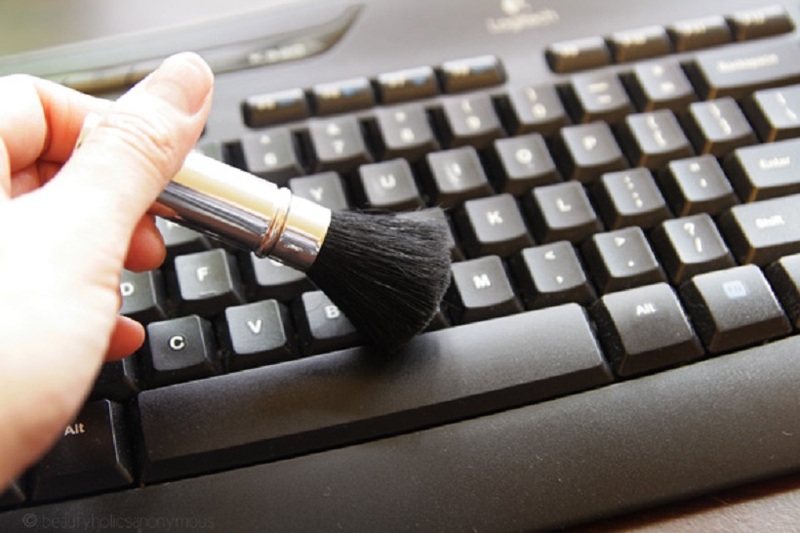 It is ideal to remove crumbs and dust in the small spaces of your computer keyboard! 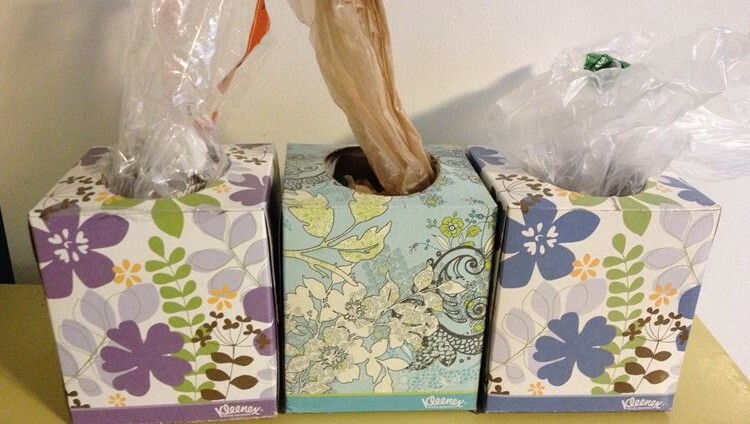 Don’t throw away that tissue box! Use it as storage and plastic bags dispenser! They are very decorative too! Many times we talk about the countless uses of plastic bottles! And guess what? Today, I will give you one more! Cut the base of your bottle and use the top as a funnel. 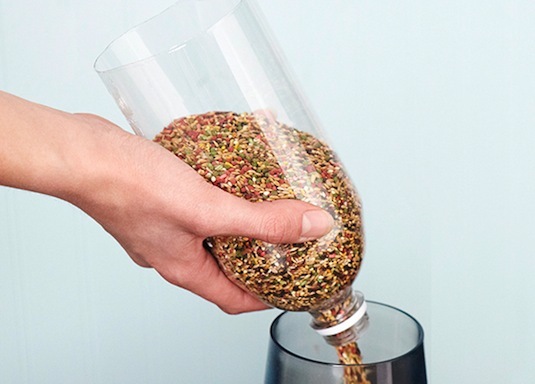 This is a great way to load grains in jars, pour liquids and fill your bird feeder with seeds, without backing a heavy bag or spilling things everywhere! Save the lid to fill the funnel with whatever you like, and remove it when ready to use! Many times, I save plastic bags closures and reuse with other bags. 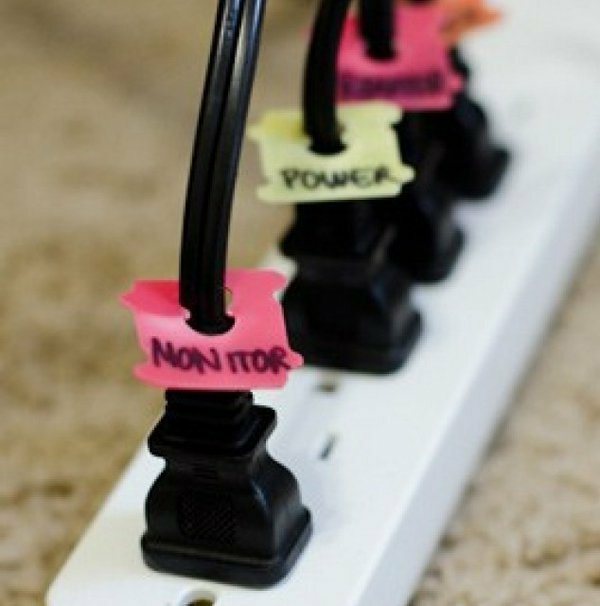 But they can also be helpful to organize wires! If you have a multi socket adapter with lots of things plugged in, you can place the connection between the plug and the cord. Use a plastic bag closure with the name of the object it applies to. You just need a permanent marker to label the objects and your useful tags are ready! If you cook, you will have baking cups for muffins. Make a small hole at the bottom of a lining for muffins. 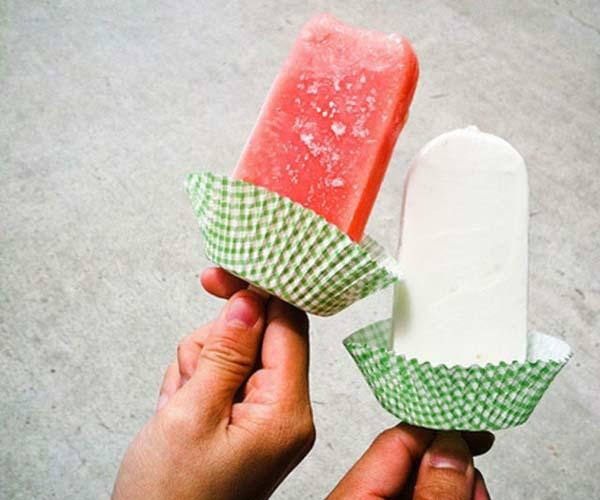 Run an ice cream stick through the hole. Then your children will avoid getting dirty, staining the floors, carpets and furniture! They also serve to cover bottle caps you wish to decorate for gift purposes! Use those that are tastefully decorated and add a nice ribbon for a beautiful finish to your bottles of preserved foods, jams, spices or whatever you want give away!